Flight Attendants at charter airline Omni Air International, represented by the Association of Flight Attendants-CWA (AFA), have voted by 78 percent to ratify a first contract. The agreement provides immediate pay raises, defined schedule and work rules as well as job security with due process. 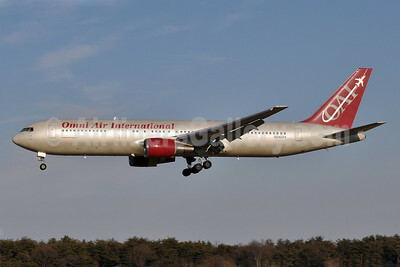 Copyright Photo: Omni Air International-OAI Boeing 777-222 ER N927AX (msn 26943) BWI (Tony Storck). Image: 907788. This entry was posted in Omni Air International and tagged Boeing 777-222 ER, BWI, msn 26943, N927AX, Omni Air International on December 3, 2017 by Bruce Drum. Caribbean Airlines (Port of Spain) has brought the “BW” code back to London. Previously BWIA West Indies Airways (Port of Spain) dropped the route five years ago. The flag carrier launched twice-weekly Port of Spain-London (Gatwick) service on June 14 (arriving at LGW on June 15) with a wet leased Boeing 767-300 from Omni Air International-OAI (Tulsa). Caribbean is leasing the aircraft from Omni for the route pending the delivery of two Boeing 767-300s (msn 26327 and 27597) from LAN Airlines (Santiago). According to the Trinidad Express the first flight was 65 percent filled. In other news, Caribbean Airlines will terminate the Air Jamaica (Kingston) route linking Montego Bay and Philadelphia on July 1. This entry was posted in Air Jamaica, BWIA West Indies Airways, Caribbean Airlines, Omni Air International and tagged 27136, 767, 767300, 767328, Air Jamaica, aviation, Baltimore/Washington, Boeing, Boeing 767, Boeing 767-300, Boeing 767300, BWI, BWIA West Indies Airways, Caribbean Airlines, N342AX, Omni Air International, transportation, travel on June 16, 2012 by Bruce Drum. Omni 777-222/ER N918AX Atlanta, originally uploaded by Chris Goodwin. Omni Air International (Tulsa) announced on June 7 it had received U.S. Department of Defense (DOD) Commercial Airlift Review Board (CARB) approval to provide Boeing 777-200 ER passenger airlift services for the DOD. Omni is the first U.S. registered non-scheduled airline to operate the Boeing 777-200 ER aircraft in passenger service. A second aircraft will be added to the company’s certificate in mid July, 2011. Omni first received CARB approval to transport passengers in February 1999, and has since moved over 5 million military troops in support of scheduled, contingency, exercise, and R and R mission requirements. The DOD’s Commercial Airlift Division (CAD) is mandated by public law and DOD directive to continuously monitor and oversee commercial air carriers that perform this business for the DOD. Copyright Photo: Chris Goodwin. Formerly operated by United Airlines as N789UA, this 777-222 ER has become N918AX (msn 26935) and has also become the first Triple Seven on the Omni certificate. This entry was posted in Omni Air International and tagged Omni Air International on June 8, 2011 by Bruce Drum. Omni Air International-OAI McDonnell Douglas DC-10-30 N612AX (msn 48290) BWI (Tony Storck) (777s coming in 2Q), originally uploaded by Airliners Gallery. 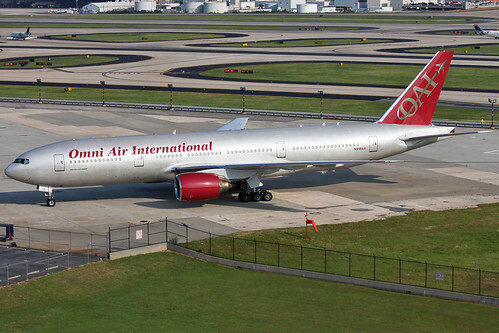 Omni Air International-OAI (Tulsa) is planning to introduce its first Boeing 777-200 ER in the second quarter 2011. Copyright Photo: Tony Storck. Please click on the photo for additional details. This entry was posted in Omni Air International and tagged Omni Air International on January 24, 2011 by Bruce Drum. Omni's new ex-Air France/Air Holland/Zoom Boeing 767-328 is now registered N225LF (msn 27136) at Miami in the new livery. It should become N342AX. Copyright Photo: Wade DeNero. 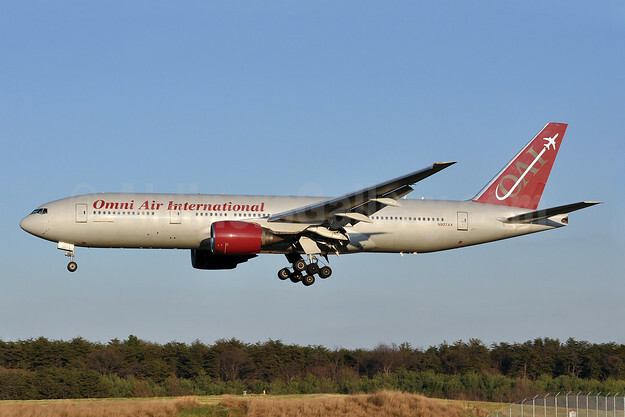 Omni Air International-OAI (Tulsa) is adding Boeing 767-300 ERs to its fleet. It is also taking the opportunity to update its livery. This entry was posted in Omni Air International and tagged 27136, 767, 767-300, 767-328, Boeing, MIA, Miami, N225LF, N342AX, New Livery, New Type for an Airline, OAI, Omni Air International, Wade DeNero on July 28, 2009 by Bruce Drum.